Great for carrying your show chickens or rabbits. 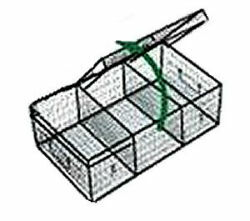 Contains Two Dividers with Separate Door for Each Compartment. Comes with Metal Drip Pan. Size: 16" x 12" x 27"